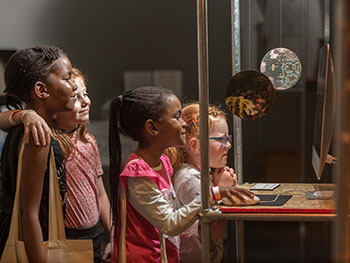 Visitors to Birmingham City University’s Inspired Family Day on Saturday 9 June will be given the chance to star in their own play, design their own railway or take part in a range of sporting activities. Elsewhere, there will be jewellery making, science experiments and craft workshops on offer as the University throws open the doors to the public once again for a unique, hands-on experience. 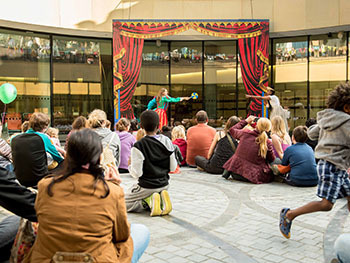 Taking place at Birmingham City University’s City Centre Campus, situated in the heart of Birmingham’s Eastside,the family festival will introduce hundreds of youngsters to the range of subjects on offer at the institution and showcase potential career options. 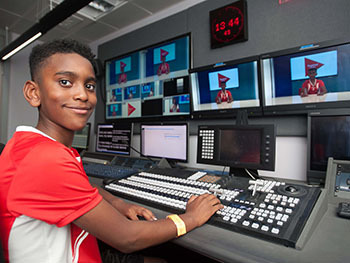 Highlights of Inspired Family Day include drop in, make-and-take s essions for the under 10s, while young adults can have a go at making their own television programme in one of the University’s state-of-the-art broadcasting studios. Half term may be over now, but we have got so much fun to come at our Inspired Family Festival, which is bigger and better than before. Inspired Festival celebrates the wealth of creative talent being nurtured and developed in the region – but we also want to introduce the next generation to all the amazing subjects they can study here and go on to forge a successful career in. Our institution is defined by the city it is rooted in and events like these also allow us to showcase the positive cultural and economic impact we are making locally, regionally and internationally. Sara Middleton, Associate Dean at Birmingham City University.